Discover How to pack a suitcase for your honeymoon? How to pack a suitcase for your honeymoon? 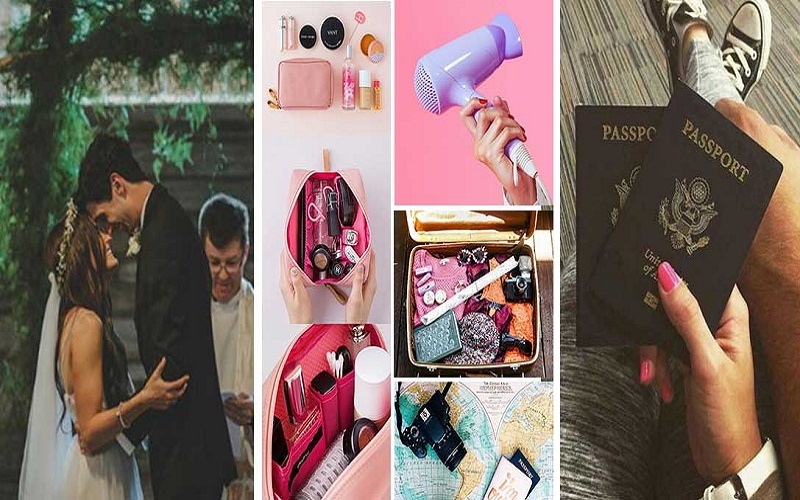 If you are looking for advice on what to pack a suitcase for the honeymoon, these are the 19 recommendations with everything you should and do not take to your destination, be it a cold place, warm, tropical or in the open sea. When a couple makes their travel bag, it is very exciting and at the same time relaxing. The time to choose the decoration for marriage and resolve the points of the wedding planning list, begin to have their reward when the date is approaching. Now, they must solve the question “what are we going to take?”. Not to mention the destination or the honeymoon plans that they have, leaving home also represents a planning at the time of packing. They must consider the daily activities to make the decision of what goes in the suitcase and what does not. So, to keep that emotion of joyful and fun energy, know these 19 tips for a perfect honeymoon suitcase, compiled with the support of two travel agencies that know very well what they should and should not wear, especially if they want have a practical and ideal pack a suitcase. In hot climates nobody wants to get out of the pool. Therefore Universe recommends wearing 2 bathing suits, because it will be a garment for daily use, while one is used the other can be washed to have it clean. Also add the summer accessories that we will mention below. In addition to short, shorts and sunscreen and / or sunscreen, it is essential to wear glasses with UV filter , hat or cap for sunny days. Walter Valencia assures that they are basic garments, mainly because the eyes are exposed to suffer serious illnesses, such as cataracts. If it is a hotel or a resort, confirm the style of the restaurant. Universe shares that it is indisputable, in some of them, the requirement to wear at least pants and shirt and for her a casual dress. For this reason, the changes to go to eat should also be on your list. Similarly, it will serve them for special outings or romantic dinners that are favorite activities of the newlyweds, coincides Walter Valencia. In general, cruises have 2 nights of galas, according to Universe. So, just in case the package honeymoon at sea, they should pack 2 long dresses and suit tie for him. Although the time and amount of time the sun is taken can cause sunstroke, it is recommended to use moisturizer after exposure, especially for those areas where they receive the most sunlight: face, shoulders, chest and high back. It will be essential to have this product in your pack a suitcase so that you can enjoy the sun every day without burning, especially if your honeymoon is on the beach. Garments such as trench coats, coats and boots are ideal for low-temperature climates, but they take up a lot of space and weight in the suitcase. The advice of Walter Valencia of Multidestino Travel is to wear some clothes on or in the hand, both on the way and back. Sometimes, depending on the temperature (high or low) the feet tend to swell, so it could be uncomfortable to take the boots on from home, for this reason, Walter Valencia proposes that, in order to give space In your suitcase, use the boots to pack toiletries, underwear or similar. If it is the first time that they face very cold weather, the advice of Universe is to see the possibility of buying winter clothes at the destination and carrying little luggage. He affirms that “he can go out even cheaper” and in the process they will have a new wardrobe for the first time. Among personal hygiene items, shoes and clothing, Walter Valencia from Viejas Multisession invites you to wear lightweight and easy-to-fold clothes such as t-shirts, lira shirts and sandals, for warm climates. That is, those services that the hotel has to make your stay more comfortable without leaving the room, as they are for example: iron for clothes, hair dryer or polishers. If you need space and little weight, an alternative is to be practical with your luggage and focus on what Andrés Niño of Viejas Universe considers essential of the honeymoon: spend time with your partner and enjoy the holiday destination. Thinking about how to combine the color of the garments, the right shoe, and similar aspects can make it a challenge and complex when it comes to pack a suitcase. In the case of cold climates, heaters are versatile and light garments. 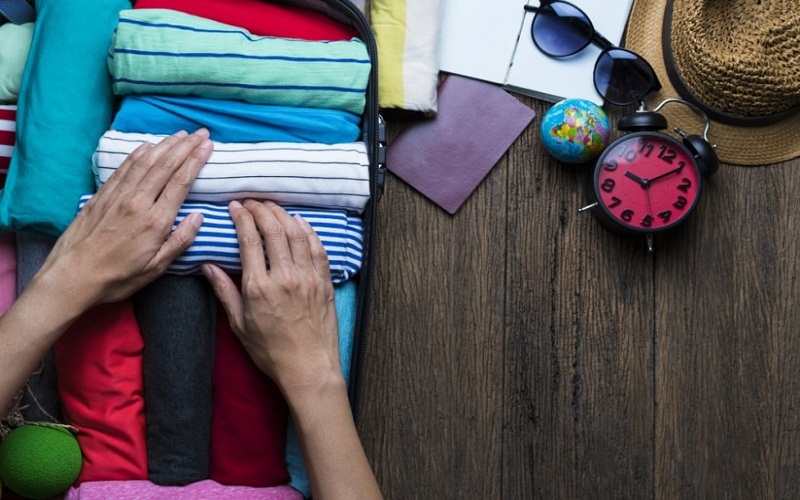 Buying clothes only for a short trip can be an unnecessary additional expense. For this reason, Walter Valencia of Viejas Multisession trusts that using heaters under clothes, along with gloves and scarves, will make them protect them from the cold and that they do not occupy much space in the suitcase. For Andrés Niño de Viejas Universe, the ideal is that the newlyweds can be fully enjoyed, so in their list of accessories should avoid including electronic devices, for example, the computer could become a distraction. Although the accessories (neckties or handkerchiefs) give a touch to every suit, Walter Valencia from Viejas Multisession describes these items as items that couples should definitely avoid when packing. Carry only one game that matches all the garments . It is the most practical. Large airplanes have a cloakroom so that passengers can store belongings there that can be annoying to wear on their legs and that can make other crew members uncomfortable. If you need to bring a suit or dress that can not be in the suitcase, first check with the airline to see if they have this service or how it can be resolved. One of the first details to consider before packing, is how many to carry and the maximum weight allowed in the luggage. Universe warns that now the airlines are very strict at this point, because they can incur additional charges. Verify how many are allowed, since not all have the same requirements. It may sound logical, but it is a recommendation that can not be missed. Weigh the suitcase after doing it . Use the scale -which can be homemade- or borrow one before the trip, so there is no problem when you have to check-in with the airline. If the case is restriction by number of suitcases and your destination allows it, a tip from Walter Valencia of Multi-Destination Travel from your experience, is to see the option of sharing and together pack a suitcase that will go in the cabin or just take a Suitcase for the entire trip. Finally, in the words of Andrés Niño from Viejas Universe : it is always better to carry less. Why? because it tends, sometimes, not to use even half of what is packed. Ideally, after reading these recommendations you can pack the things you really need in your suitcase. Make an inventory with those essential elements for your trip and verify that they are included. There are honeymoon destinations with different types of weather, so investigate what season you will visit the place and travel requirements. 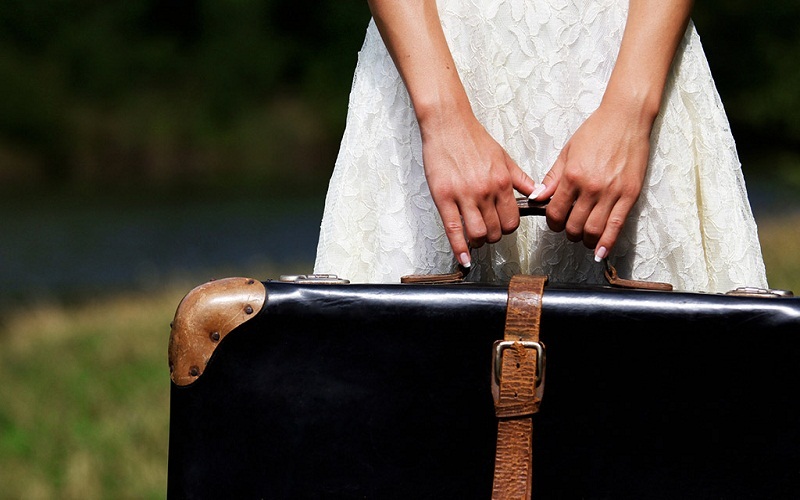 Be the first to comment on "How to pack a suitcase for your honeymoon?"